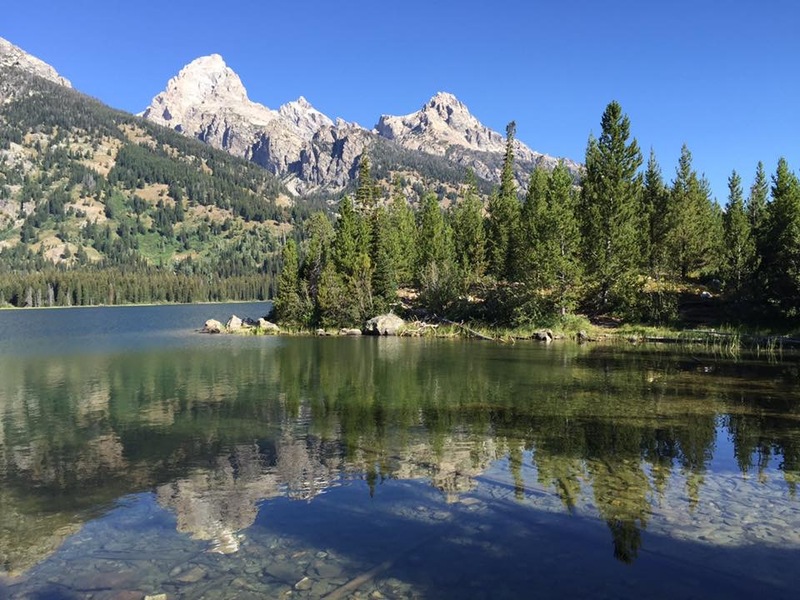 Crocidiles, Snakes and Lizards….oh my! If you love snakes, spiders, alligators, crocodiles and birds (and who doesn’t?!! 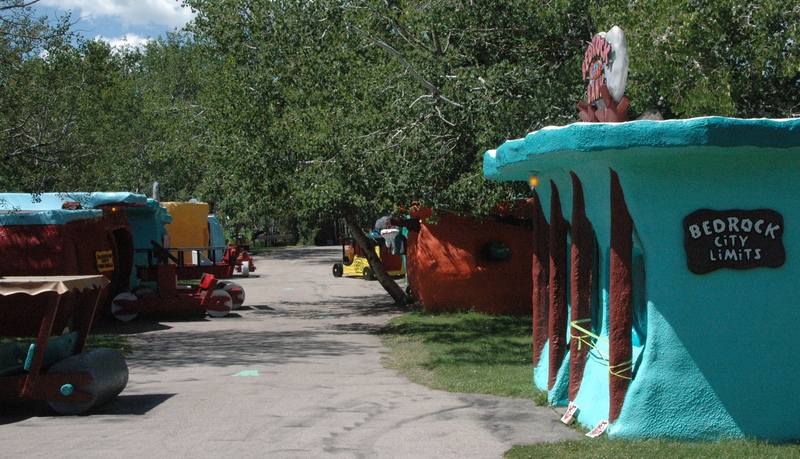 ), then Reptile Gardens, located just South of Rapid City, is a perfect place to spend an afternoon. According to the Guinness Book of World Records, Reptile Gardens has more species and sub-species of reptiles than any other zoo or park in the world. 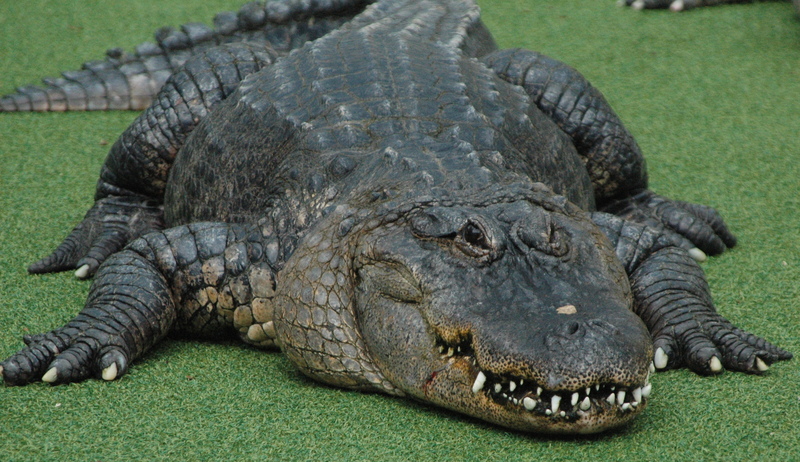 They offer several informative programs every day, on snakes, birds and a popular alligator/crocodile show. 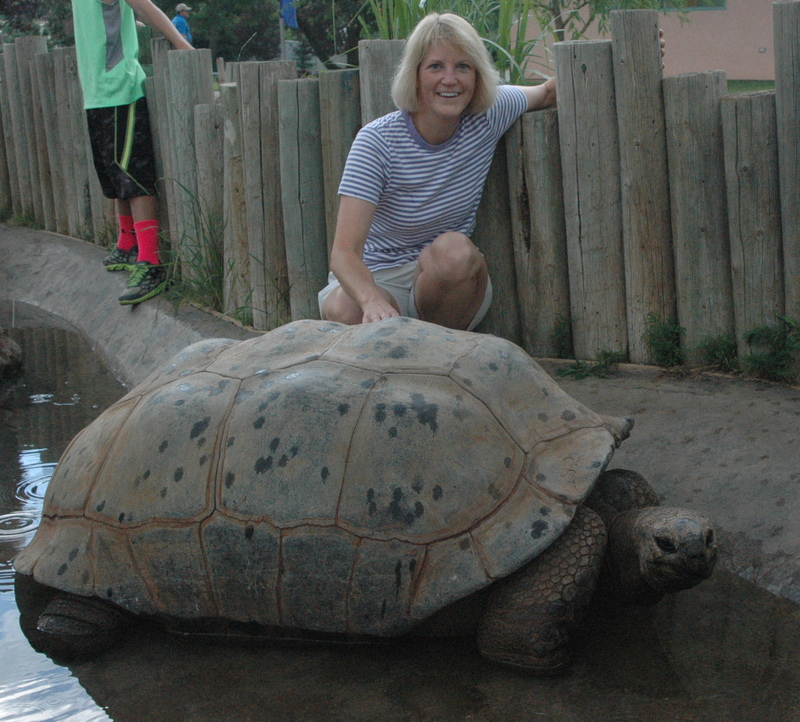 One of the more popular residents of Reptile Gardens is the giant tortoise. There are two species, Galapagos (which is endangered) and Aldabra (which is a threatened species). They average 500 pounds in weight, and 4 to 5 1/2 feet depending on the species. They are very gentle creatures, and it was fun getting to pet them. These little ones seemed to be having some fun! 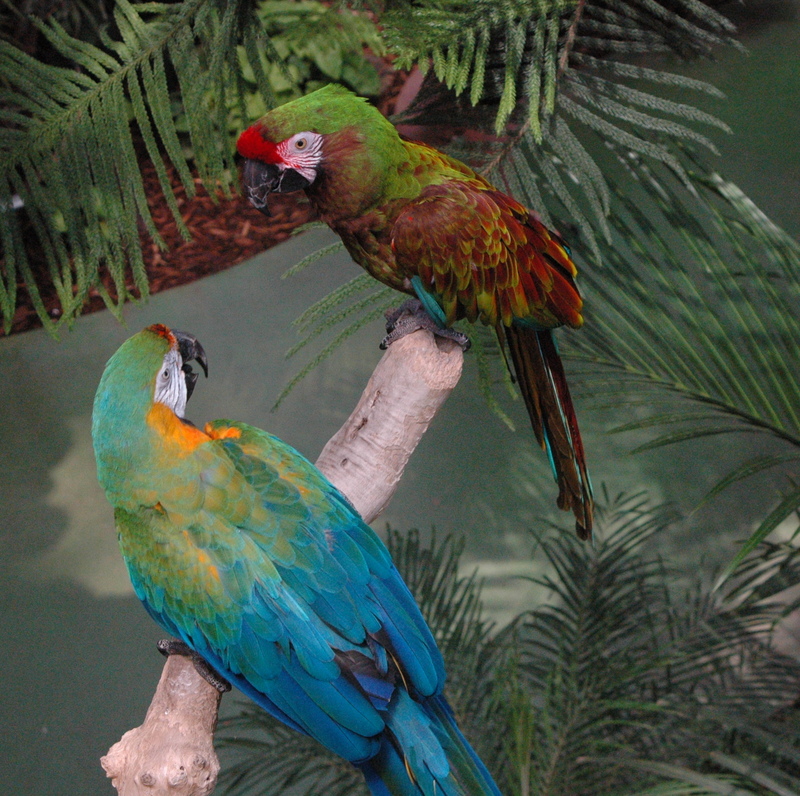 The Sky Dome contains a tropical jungle with birds, lizards, and small turtles roaming around. 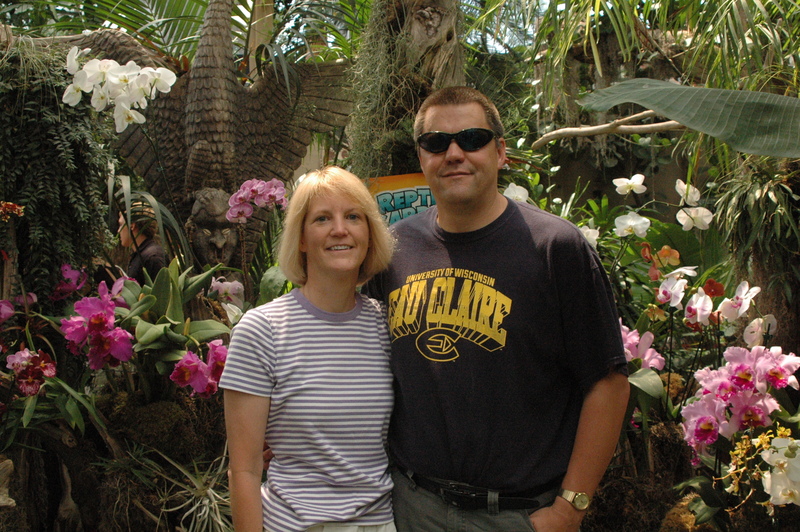 It also has a beautiful display of tropical plants and flowers. They have several different species of Amazon and Macaw birds on display, that seemed quite happy with their surroundings, and were oblivious to us humans. 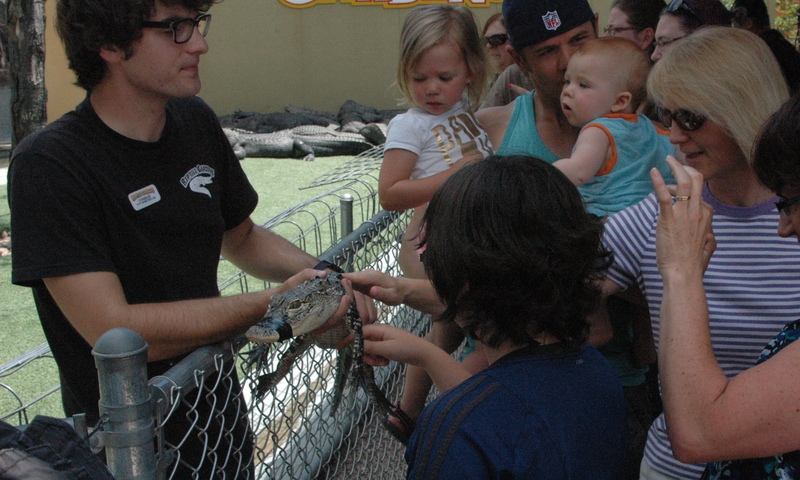 The Alligator/Crocodile show is very popular, and educational as well. The handler discusses the difference between the two species, and will show you how to wrangle them, if you so desire! During the show, the handler comes out with a bucket of raw chicken legs, which they seem to enjoy and swallow whole. 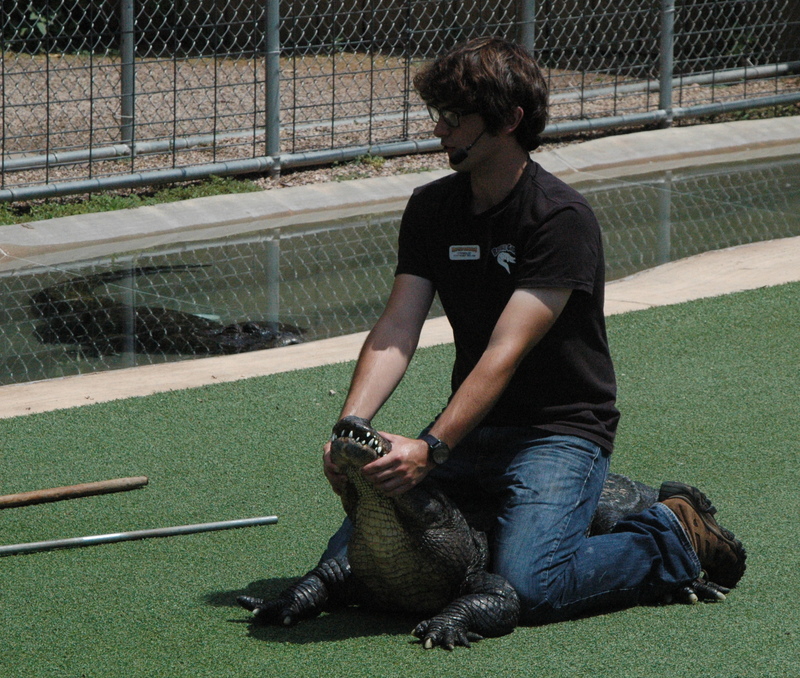 At the end of the show, the handler goes around with Fluffy, their baby crocodile. Who can resist petting her? They do have an exhibit of a Komodo Dragon, which is the largest lizard in the world. Males can reach up to 10 feet long. 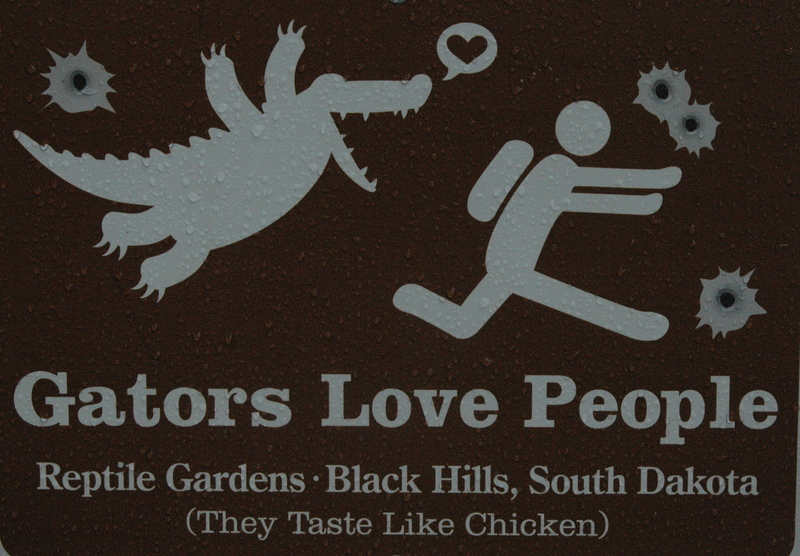 The Dragons will eat snakes, pigs and pesky tourists, according to the sign at the display. 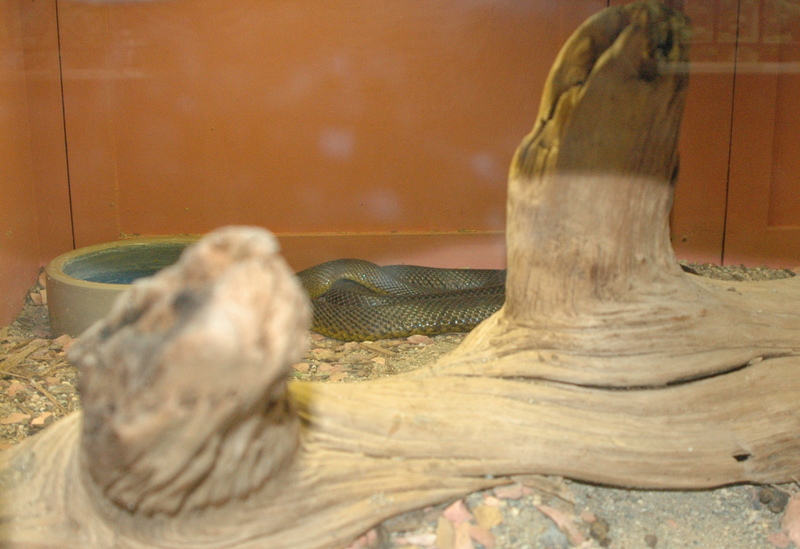 But the highlight of Reptile Gardens is their impressive display of snakes. What is the worlds most deadliest snake? 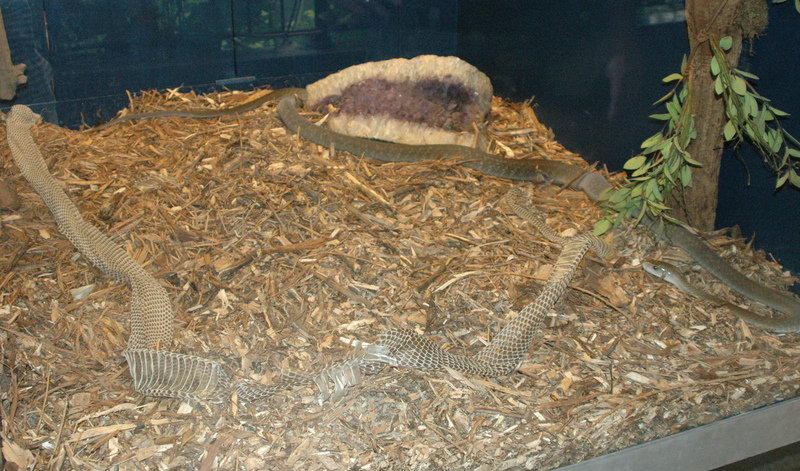 According to Reptile Gardens, it is the Inland Taipan, as it has the most toxic venom of any snake known on the planet. However, because of its limited range of living in remote Australia, there are no known deaths from this snake. This snake was hiding out in the back of the display, so I was unable to get a good picture of it. The Rough-Scaled Python, is considered to be the rarest snake in the world. It is non-venomous. The species were first found in 1976, but a second one was not located until 1983. They were found in Northern Australia, and Reptile Gardens was the first place to have, and to breed them, outside of Australia. They live in sandstone crevices and usually come out after dark to warm up on heat stored in the rocks. 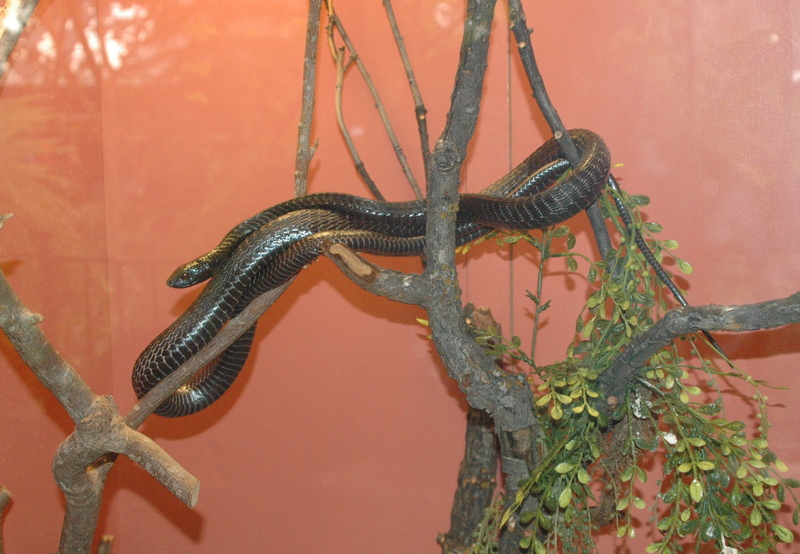 The Boomslang, found in Tropical Africa south of the Sahara, is the most venomous rear-fanged snake in the world. The snake is able to open its mouth a full 180 degrees, to display its potent fangs. The Black Mamba, found in Central and South Africa, is the second longest venomous snake in the world, growing up to 14 feet in length. If left untreated, 100% of Black Mamba snake bites are fatal. Just 2 drops of their venom is lethal, and a bite will usually deposit 15 drops. This snake just shed it’s skin, which was left in the cage on the left. The snake is sprawled out on the right side. 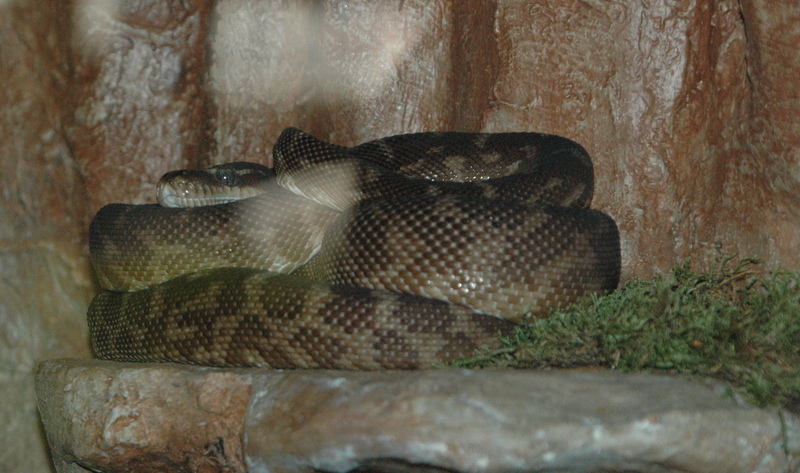 The Australian Scrub Python, a non-venomous snake, is the largest species native to Australia. They can get up to 28 feet, although 16 feet is the norm. There are two snakes in the photo below, all wrapped up together. They are the only 2 in the United States. The Anaconda, a non-venomous snake, is the largest, heaviest and second longest snake in existence. 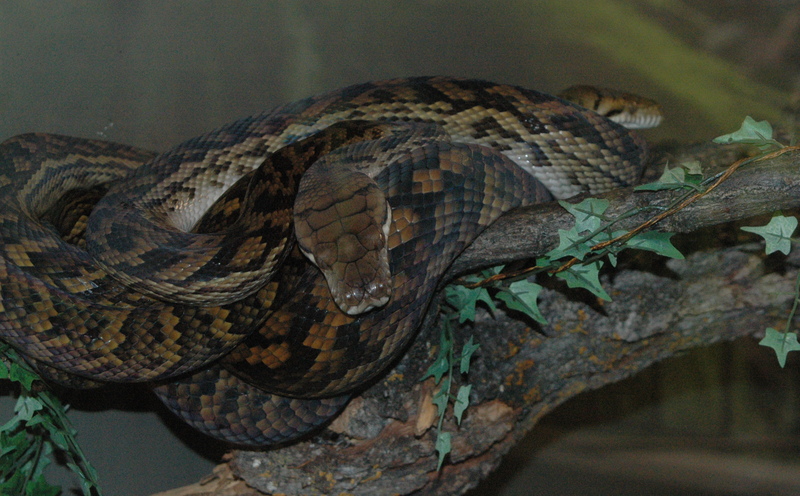 (the longest snake is the Reticulated Python) They can weigh up to 300 pounds, and grow 22 feet in length. The females have been known to eat smaller males! 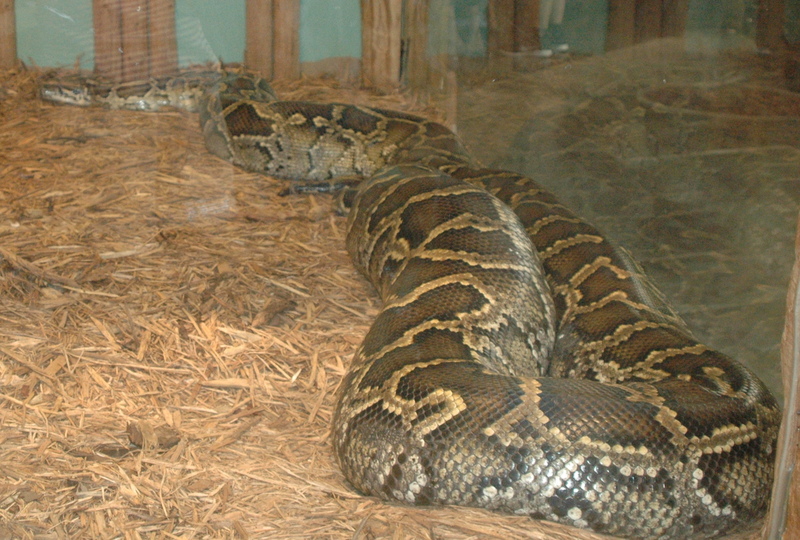 The very large, non-venomous Burmese Python can lay up to 100 six-inch eggs. They are unusual in the reptile world in that they will incubate their eggs by coiling up around them, and raising their body temperature about 7 degrees. 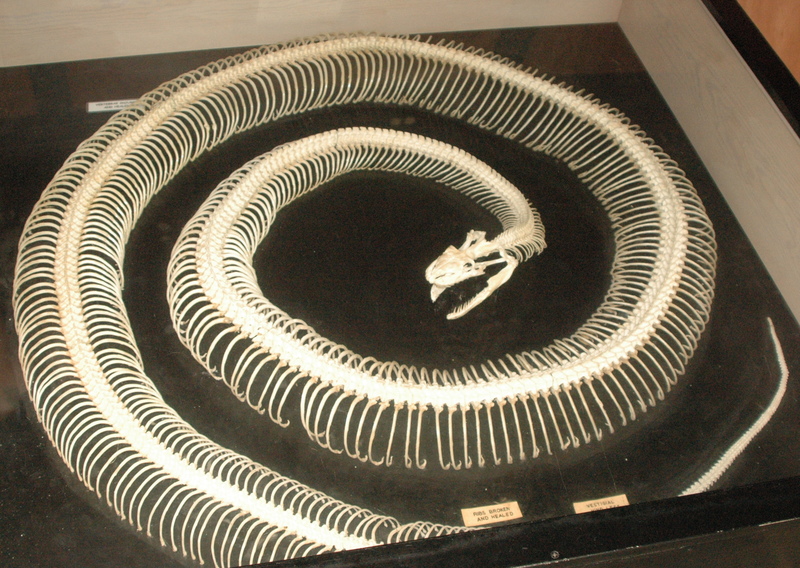 This is the skeleton of a Burmese Python, which contains 328 pairs of ribs and 400 vertebrae. 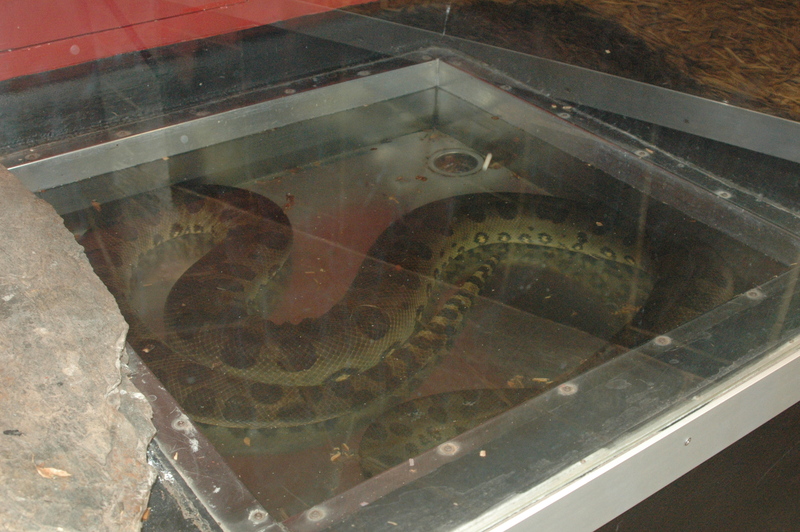 It is estimated this snake weighed 150 pounds and was 19 feet in length. The cost for Reptile Gardens is $16.50, which includes a pass allowing you to return all season. 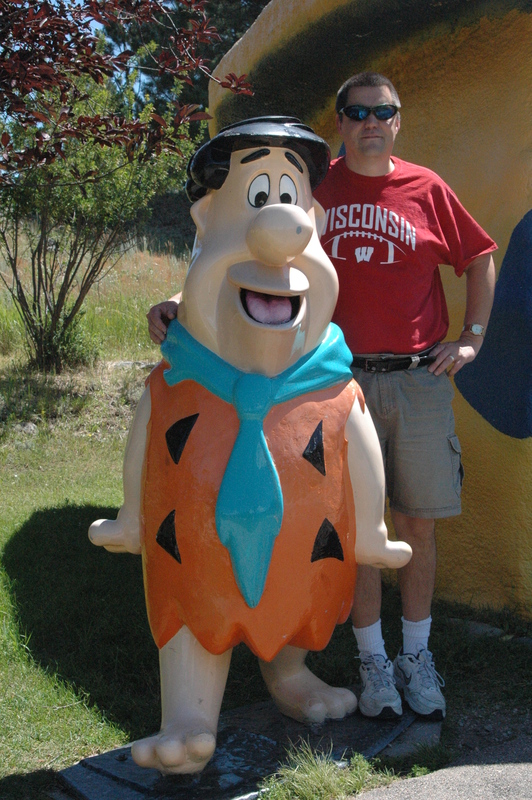 We both grew up watching The Flintstones, which originally aired from 1960 – 1966, and then many years after in reruns on Saturday mornings. 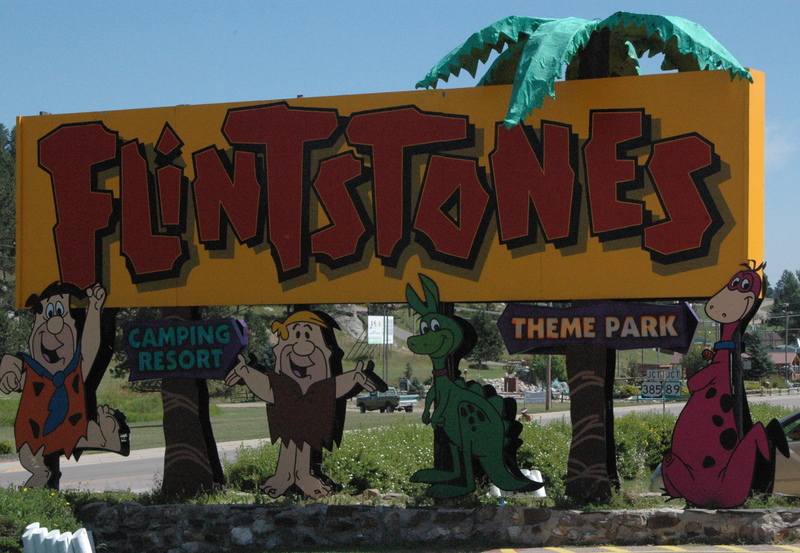 Custer, South Dakota has the Flintstones Camping and Theme Park and we were always curious about it, driving past it many times in town. 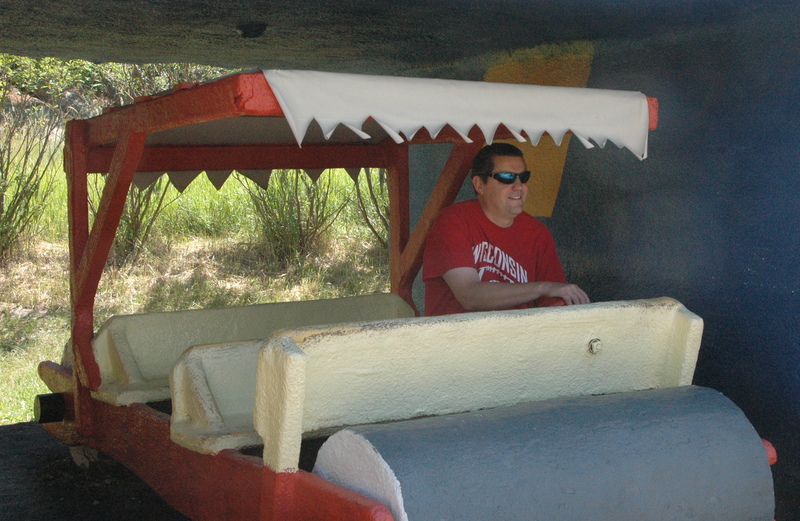 Since we could receive free admission with our VIP passes (normally $10.00 per adult), we decided to check it out. 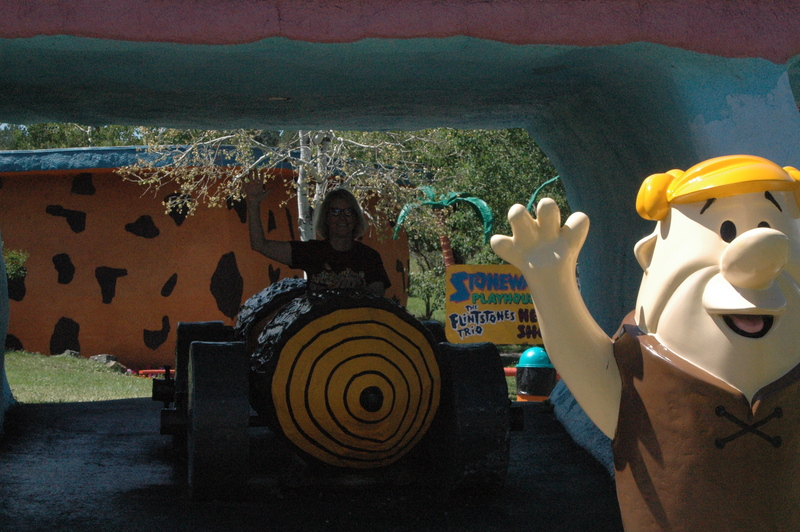 This went into our “glad it was free” list, although we managed to have a ‘Yabba dabba doo, gay ole time’! It took us about 30 minutes to see everything in the park, so it is pretty overpriced for what you get (in our opinion). 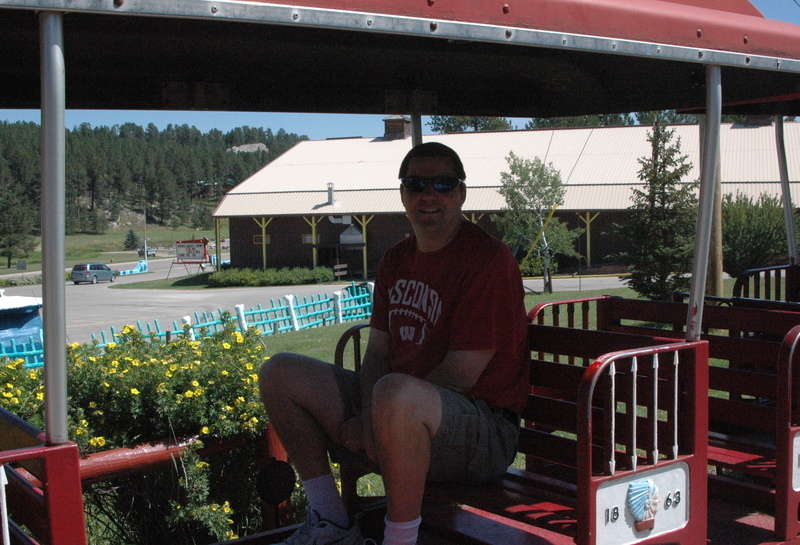 We started out taking the train ride around the property. 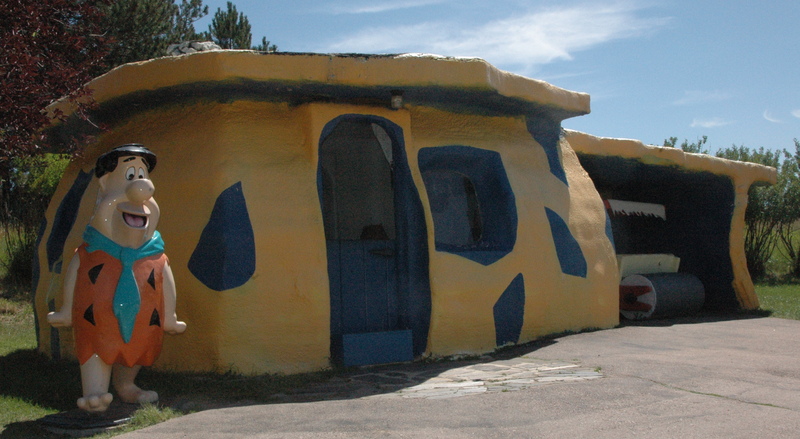 The park has Fred and Wilma’s house. Dan was trying to take Fred’s car for a spin. 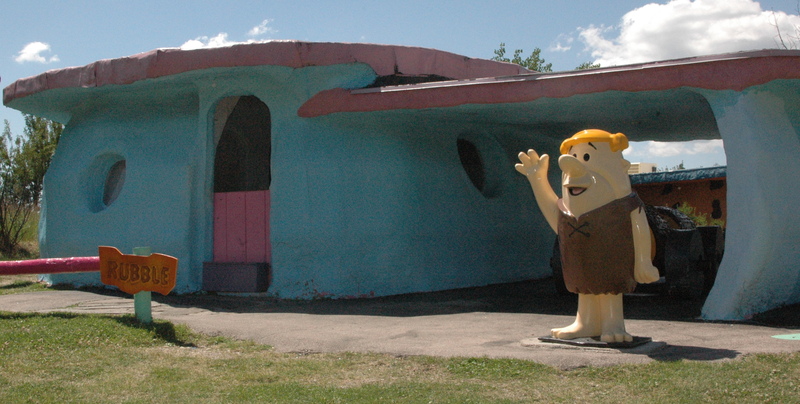 Next door was The Rubble household of Barney and Betty. Barney has quite the aerodynamic sportster. 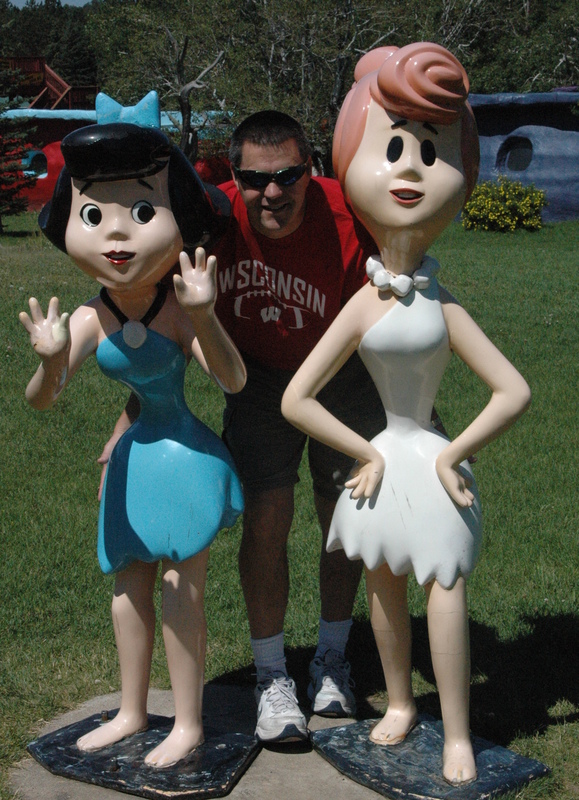 Dan decided to hang out with the girls. After the buildings, there is a children’s playground area with swings, slides and stuff. I was talking with a few mothers that wished they would put this cartoon back on the air, and take off Sponge Bob. 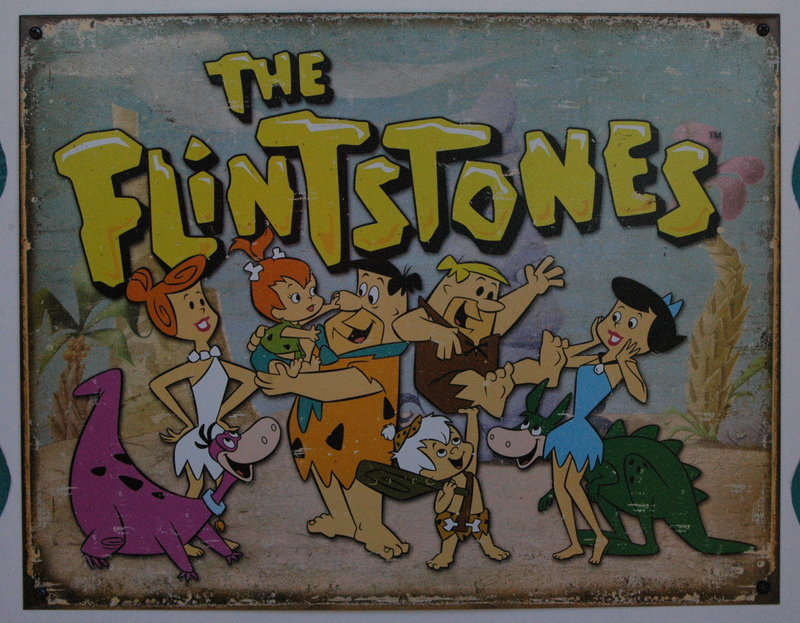 Their children had no idea who any of the characters are on The Flintstones. We agreed that their kids are missing out on a classic cartoon series. We did not see any of the camping section of the park, as it is well secluded from the road and the park. 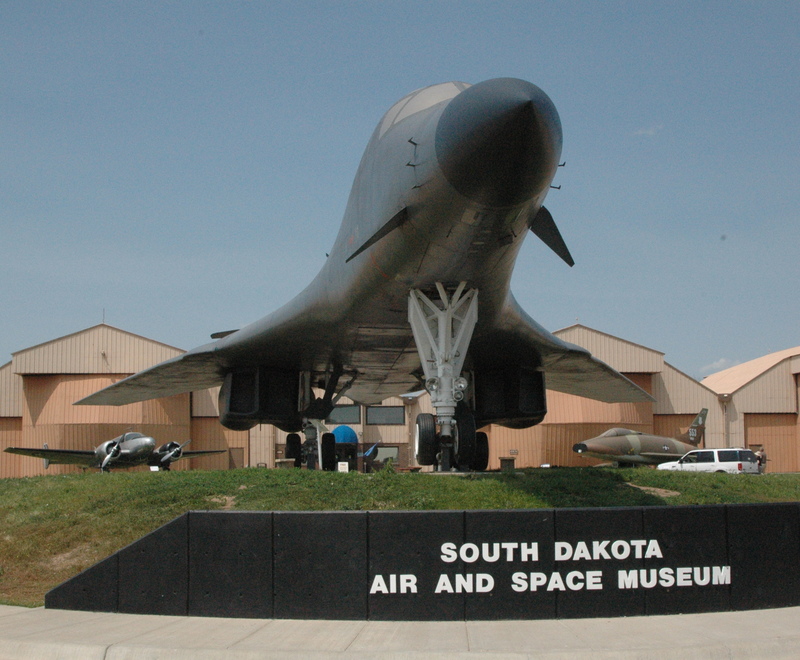 Next door to Ellsworth Air Force Base in Box Elder, SD is the excellent South Dakota Air and Space Museum (free to everyone, donations happily accepted), which contains dozens of airplanes, helicopters and missiles both indoors and outdoors. 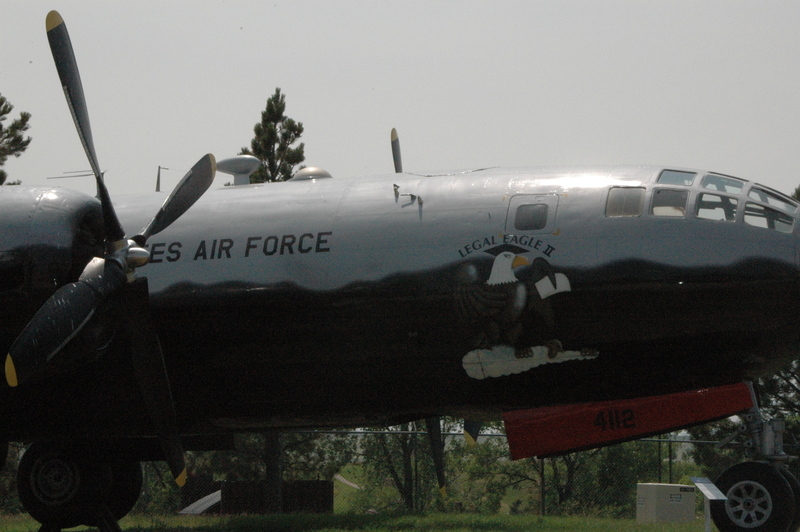 The exhibit includes planes that were flown out of the AFB, such as the B-52 Stratofortress, EC-135 Looking Glass, B-29 Superfortress, and the B-1B Lancer, which is currently in use at the base. There is an optional tour available of the base ($8, free with VIP pass). It was the first time we had been on an active military base, and we were happy to venture out with our friends Forrest and Mary for the tour. Our tour guide stated they normally do not put a “current model” out on display, but this plane had been heavily damaged, so they scraped it for parts, and placed it prominently on display in front of the museum. We were impressed by the massive size of the B-52 plane. It’s predecessor, the B-29 Superfortress, was also a great looking plane. The EC-135 Looking Glass was another plane used at the base. 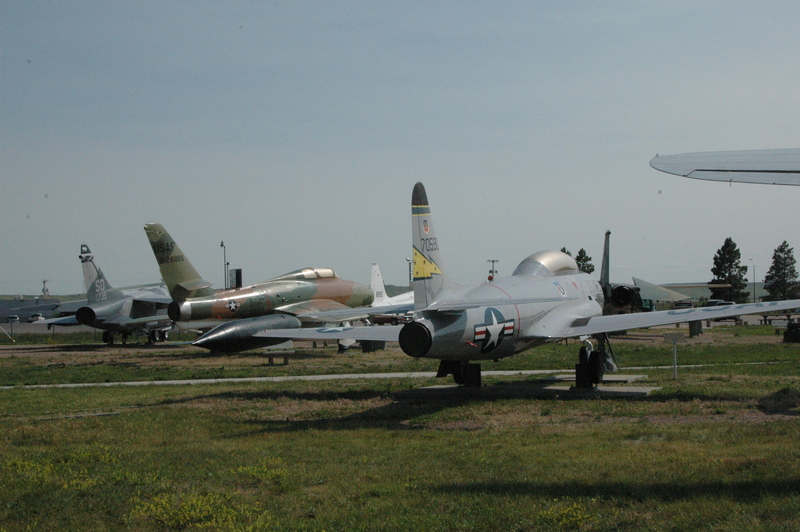 The photo below has the Nike-Ajax Missile in the center, the F-101 Voodoo on the far left, the C-47 Gooney Bird and the C-131 Samaritan on the far right. The photo below has the T-38 Talon on the left, and the A-7 Corsair – II on the right. 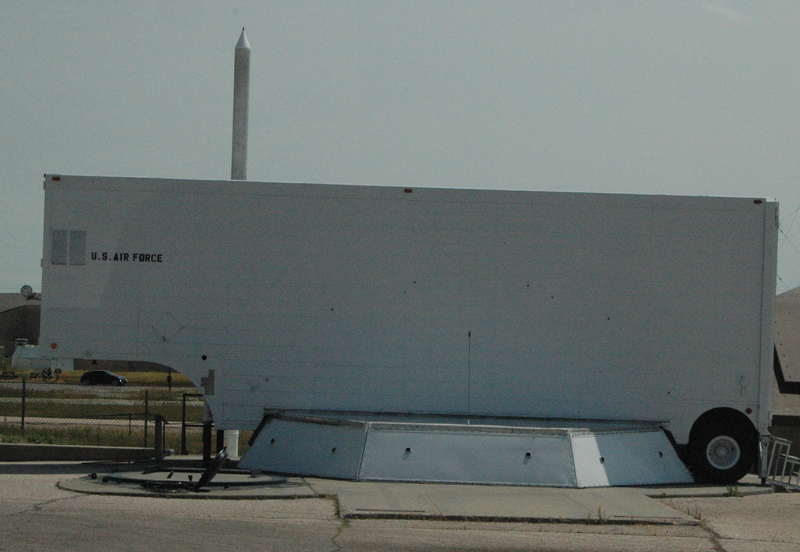 The tour of the base was approximately one hour, with a stop at the Minuteman Missile Silo right on the base. Currently, there are over 3,000 people living on the base. At its peak, during the Cold War era, over 7,000 members were assigned to the base. 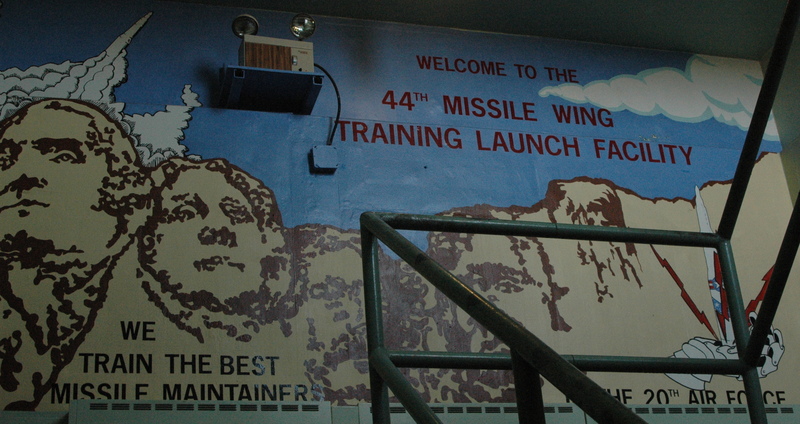 The AFB used to contain the 44th Missile Wing, which was in charge of the Minuteman Missile Sites. 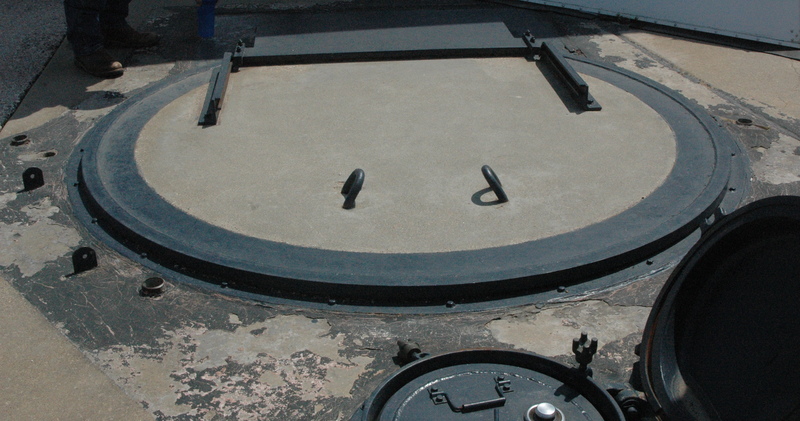 The base contains a silo that was used for training on all facets of the program. The first silo was installed in 1963 near Wall, SD. 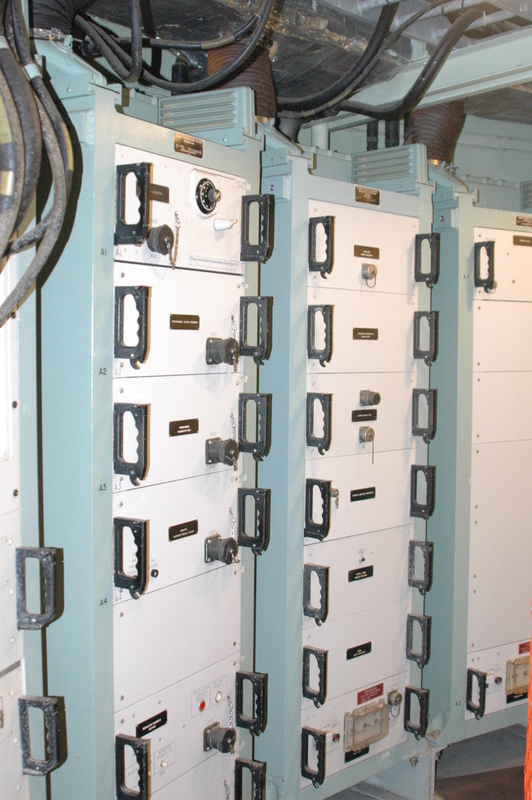 By the end of 1963, over 150 missile silos were dispersed across South Dakota. All training for the personnel was done at the AFB. The end of the cold war was reached in 1991, and the missiles were deactivated. 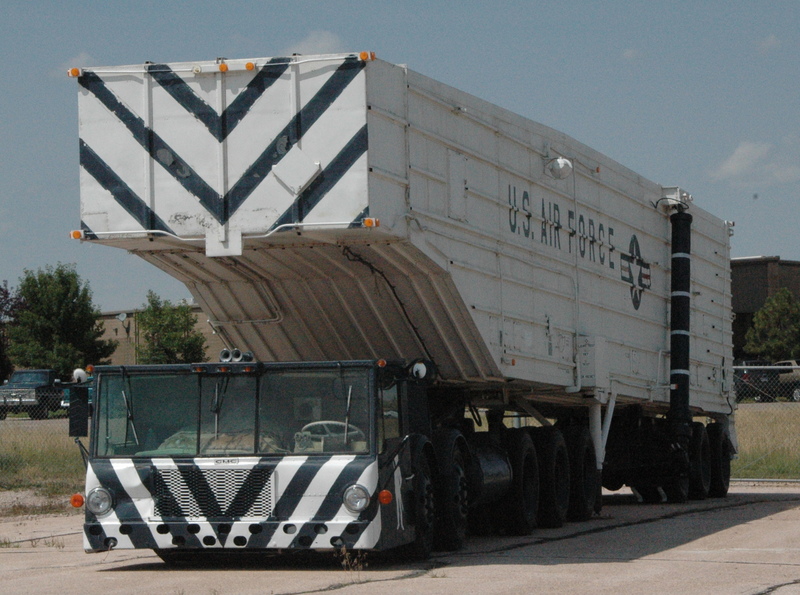 The 44th Missile Wing was disbanded in 1994. 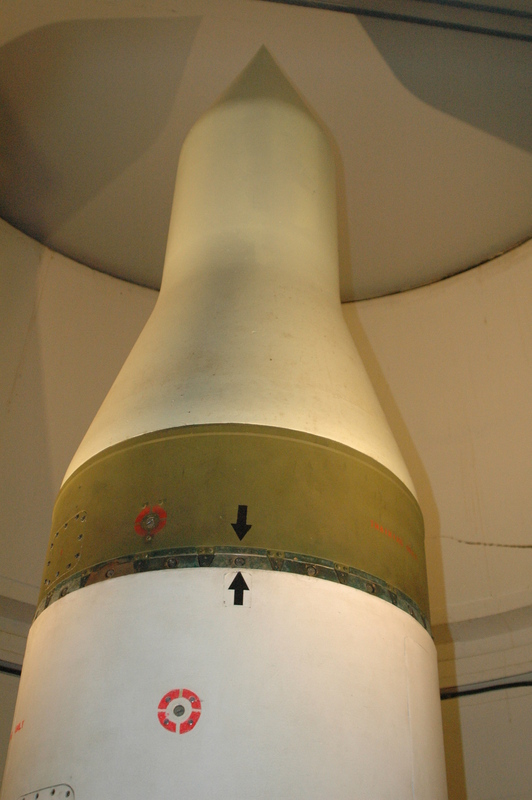 You can read more on the history of the 44th and the Minuteman missiles here. The missiles were brought to the sites using the maintenance vehicle below. 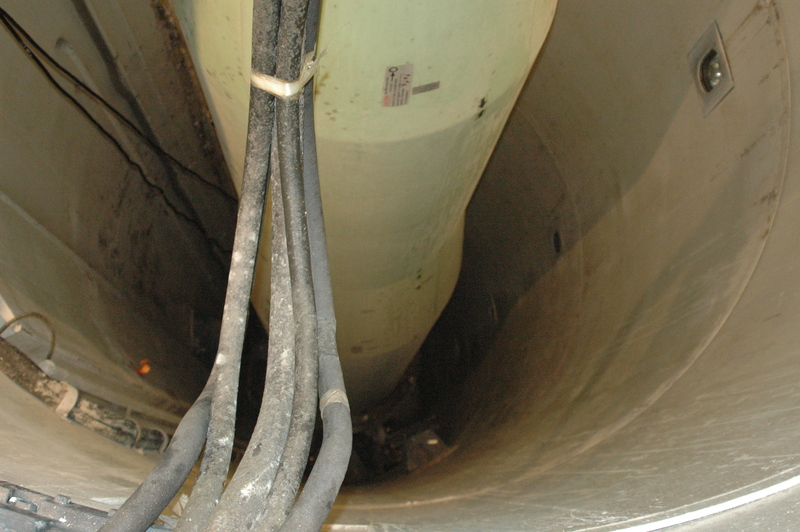 The back-end of the vehicle would raise up and over the missile site in the ground, and they could lower the missile down into the silo. The next vehicle to arrive would contain the actual nuclear warhead and would also sit over the site. They would put covers down over the hole, and would complete work on the installation. The entrance into the silo required a secure, double entry system. Since this was a training facility, the officers grew tired of having to go down the hatches every day, so stairs were built at this silo. 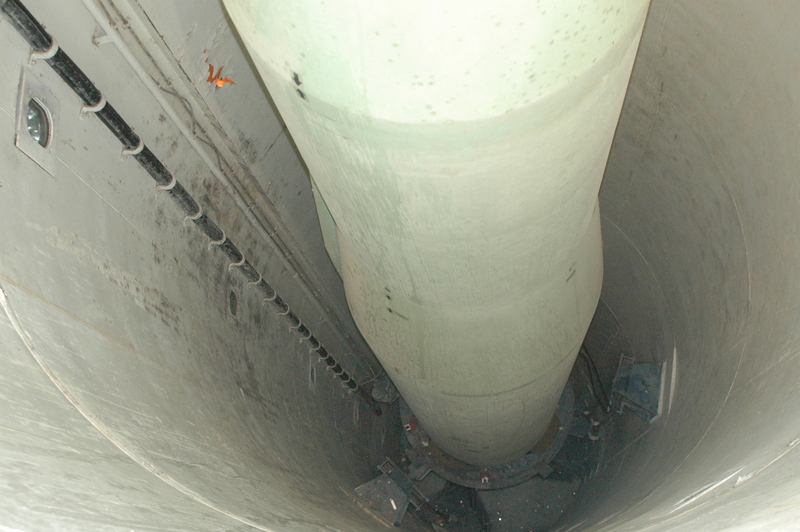 We were able to look down into the silo at the missile. There are electrical components surrounding the silo. 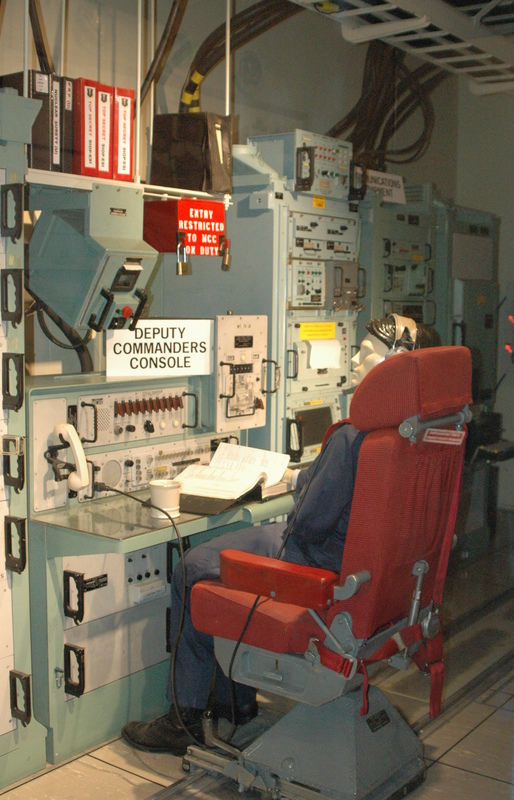 The museum also contained a display of the launch control center, which were capsules buried underground throughout South Dakota. Each center was in charge of 10 missile silos. The museum and tour of the base was an excellent and informative lesson in our military history. 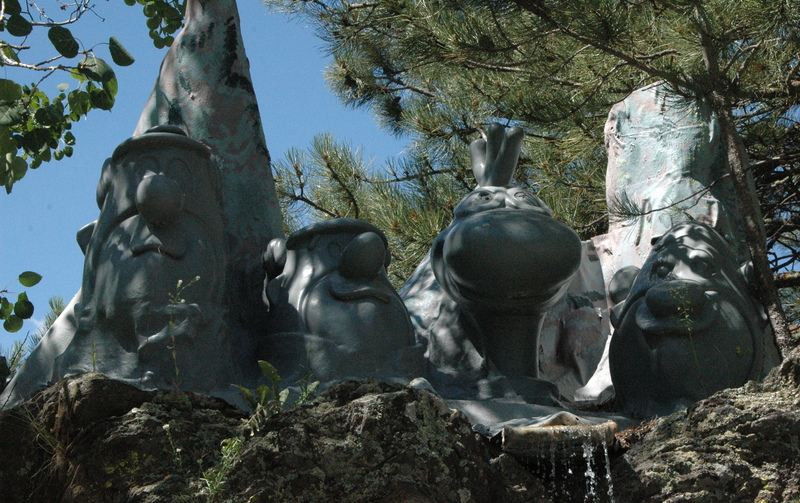 It is definitely a “must see” item if you come out to this area. There is also a Minuteman Missile Site and Launch Control Facility operated by the National Park Service about 60 miles East of the base. We have not yet visited that facility, but hope to do so before we leave this area in a few weeks. You are not able to go down into the missile silo at the park service facility, as they do not have stairs like the AFB had put in their training silo. 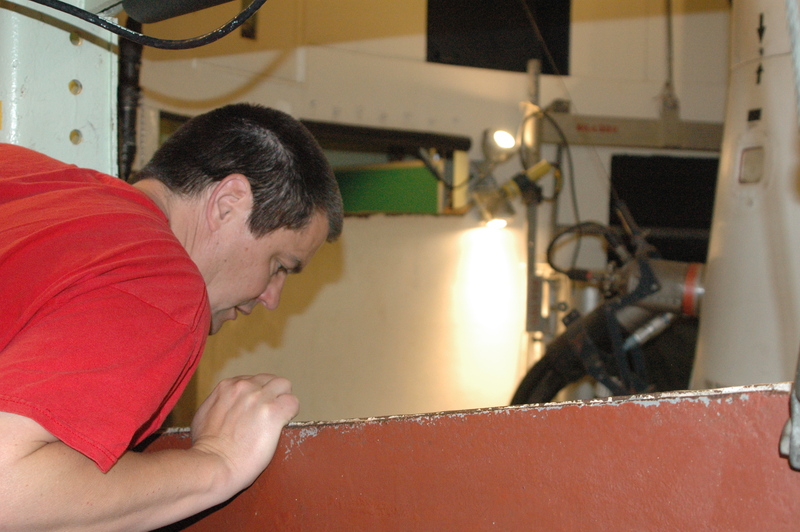 But they do offer tours of the launch control facility on a first come-first served basis. And they are only able to take 6 people down at a time in the control center. 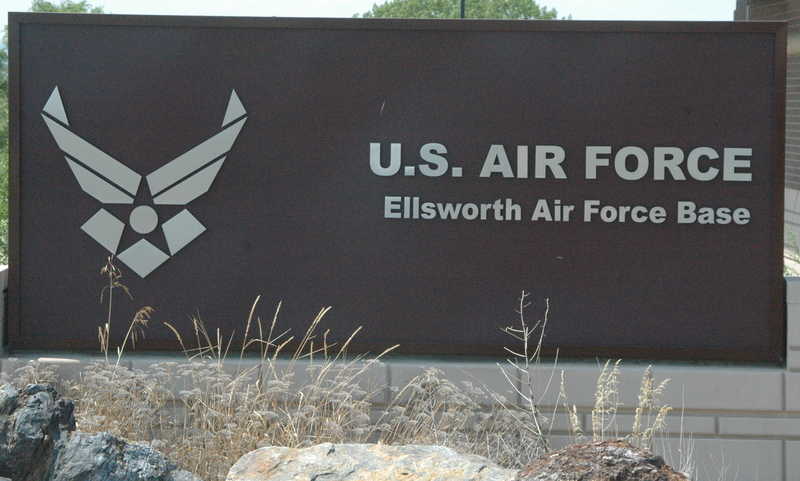 So if you are interested in the missile site, it would be a good idea to tour the museum and Ellsworth Air Force Base as an alternative. 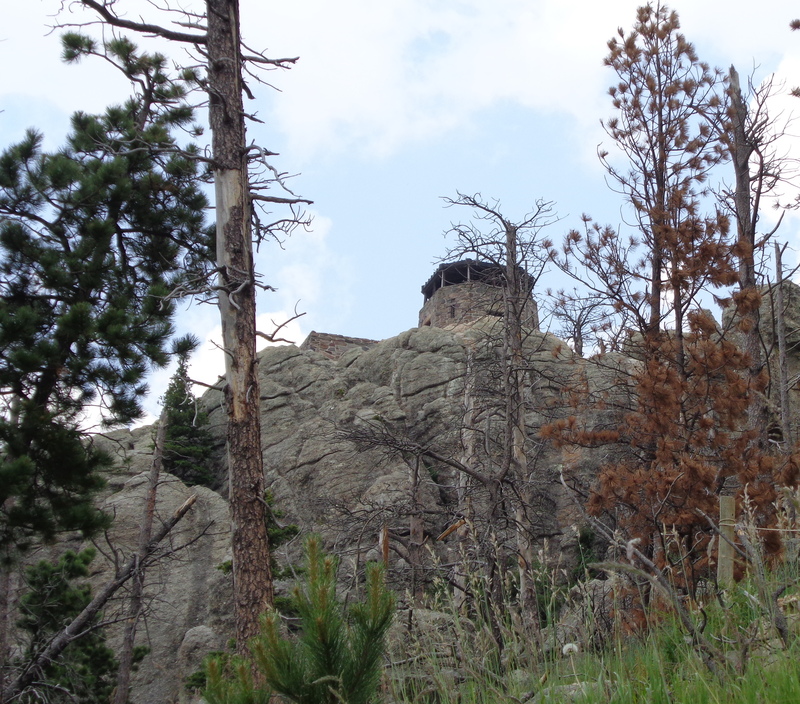 Harney Peak – Hiked it. Liked it. 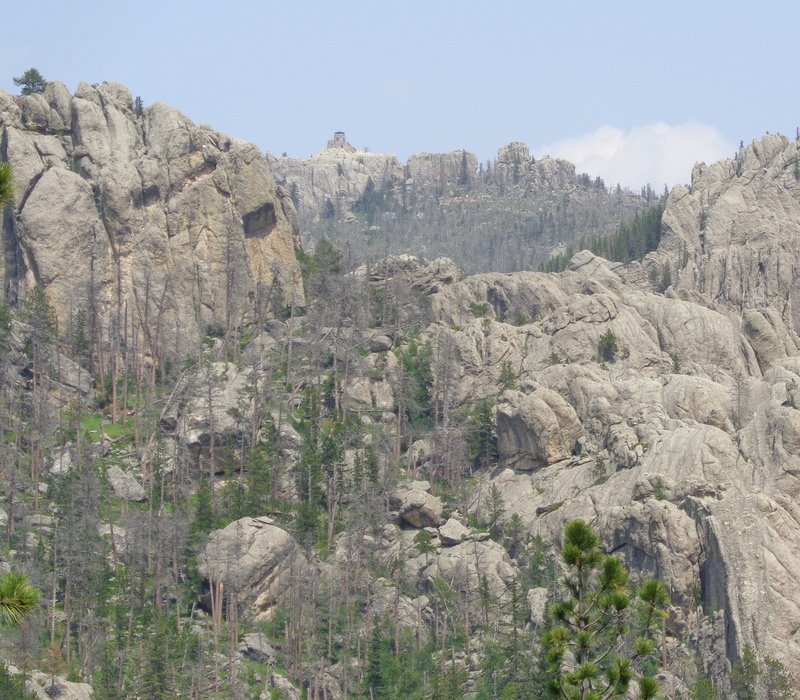 Harney Peak, in Custer State Park, is probably the most popular hiking trail in the area. At an elevation of 7,242 feet, it is the highest point east of the Rocky Mountains and west of the Alps. 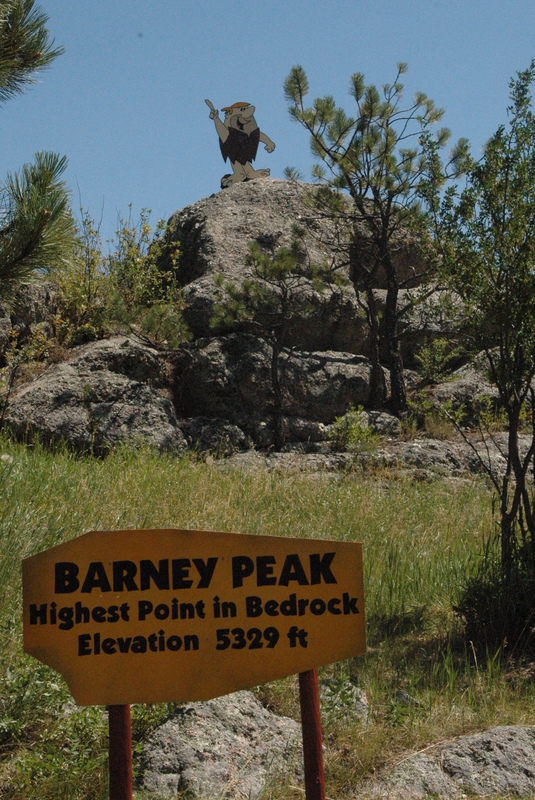 Harney Peak was named after General William S Harney, who served with the U.S. Army from 1818 to 1863. 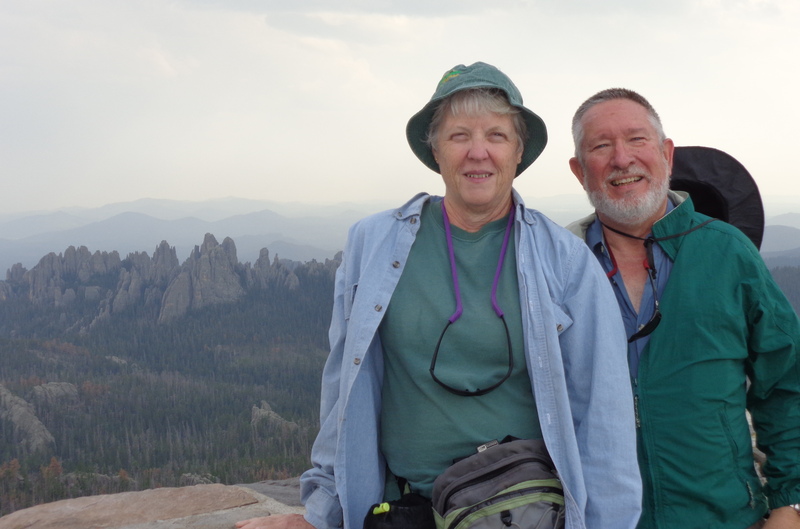 With our friends Forrest and Mary, we decided to tackle the 7 mile round trip hike, which has about a 1200 foot elevation increase. 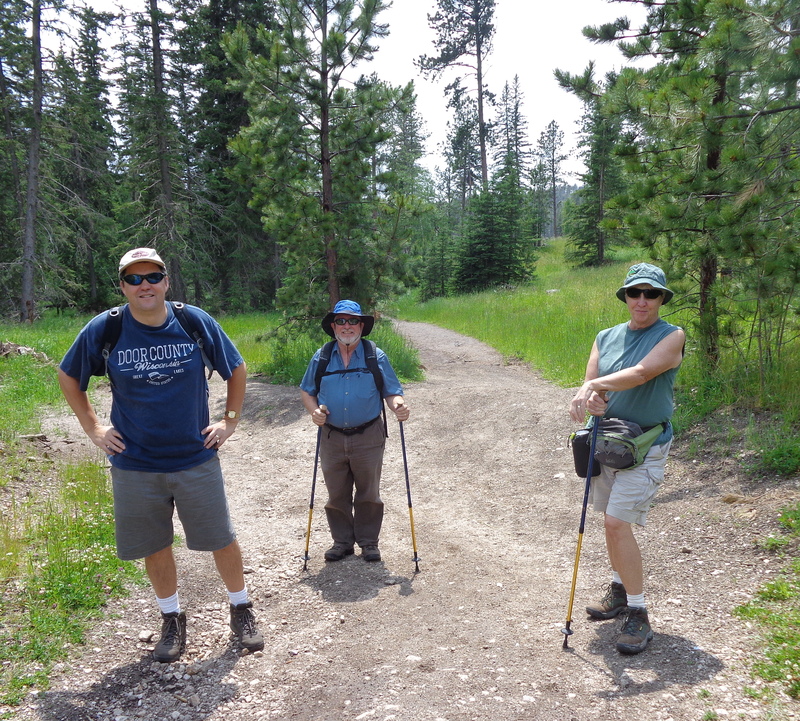 Everyone was all smiles at the beginning of our trek, which started out as a relatively easy path to navigate. 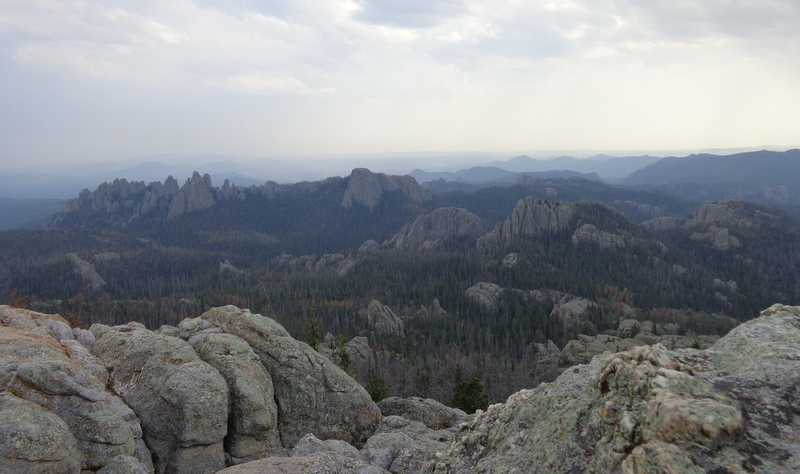 After a moderate climb, we encountered many spectacular views of the Black Hills, with its granite rocks. We continued on, going up in elevation, and then down again, through the woods, over a small stream, and around many small boulders. The hike started to get a bit more challenging. One boy coming back down from the top said he scared away a rattlesnake for us…thanks! We continued on our climb. 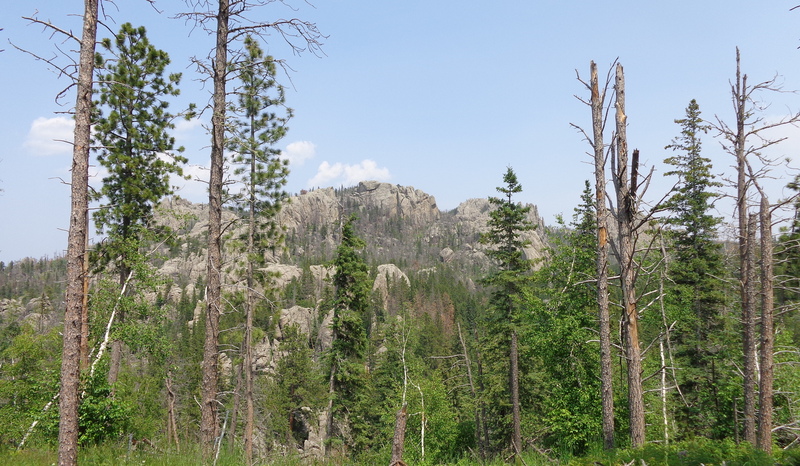 As we continued our climb, we could hear thunder in the distance, which we are finding to be typical weather here this summer in the Black Hills. Cell service was intermittent, but Dan did keep an eye on the weather radar on his phone, so we wouldn’t get caught up in anything too serious. The only annoying part of the trip was listening to everyone coming down proclaiming “you only have 15 more minutes”. This went on for at least an hour!! Finally one girl told us “you still have a long way to go!” But the majority of people coming back down all had smiles on their faces, and said it was worth it. For Dan and I, this was the first major hike that we have done. Forrest is an experienced hiker, and he agreed we picked a good hike for our first time. 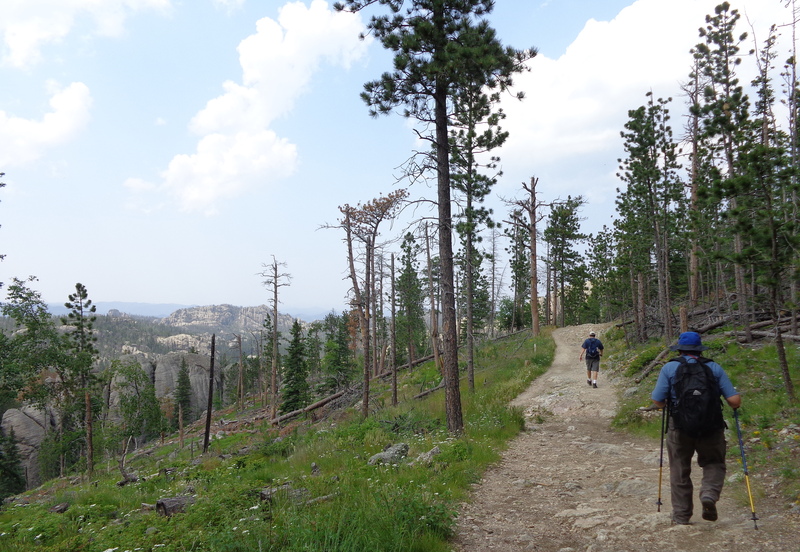 We started to get a better glimpse of the old fire tower as we continued our climb. 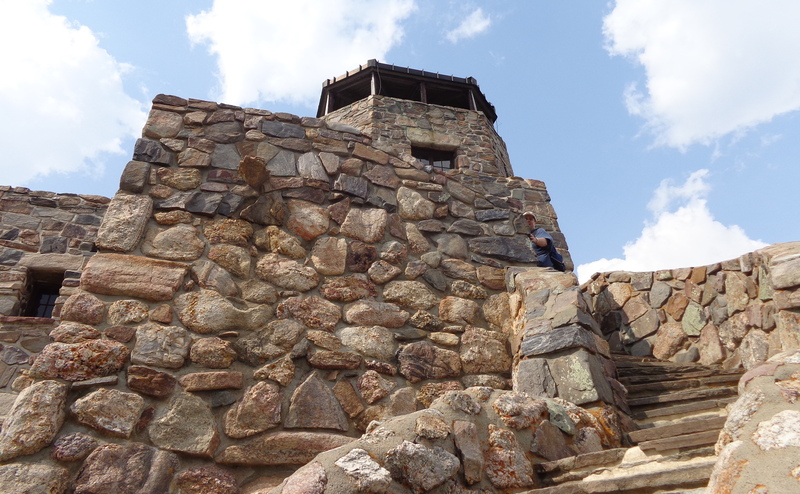 Built by the Civilian Conservation Corps from 1935 – 1938, it remained in use until 1967, and was stripped out of its furnishings and plumbing. 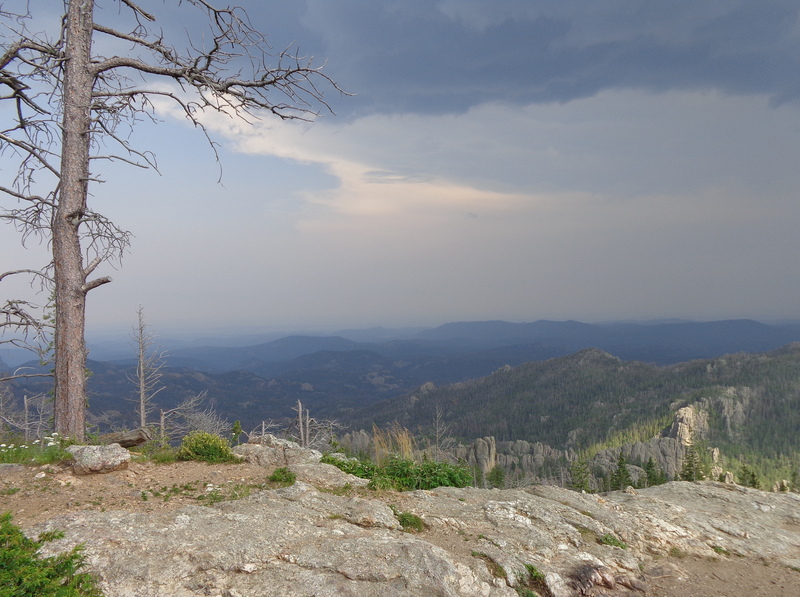 The views, even with the storms in the distance, were getting even more spectacular, as we continued getting above the tree line of the Black Hills Forest. 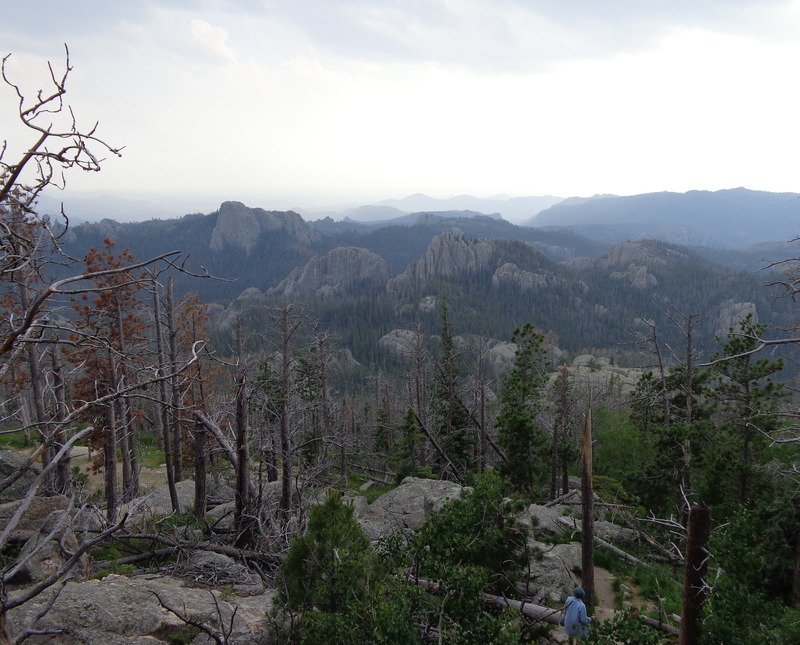 We continued climbing, the temperatures were dropping due to the elevation, and the wind was picking up. There are many twists and turns during the final ascent of the hike, and then more stairs?! Onward we climbed, only a “few more” minutes! 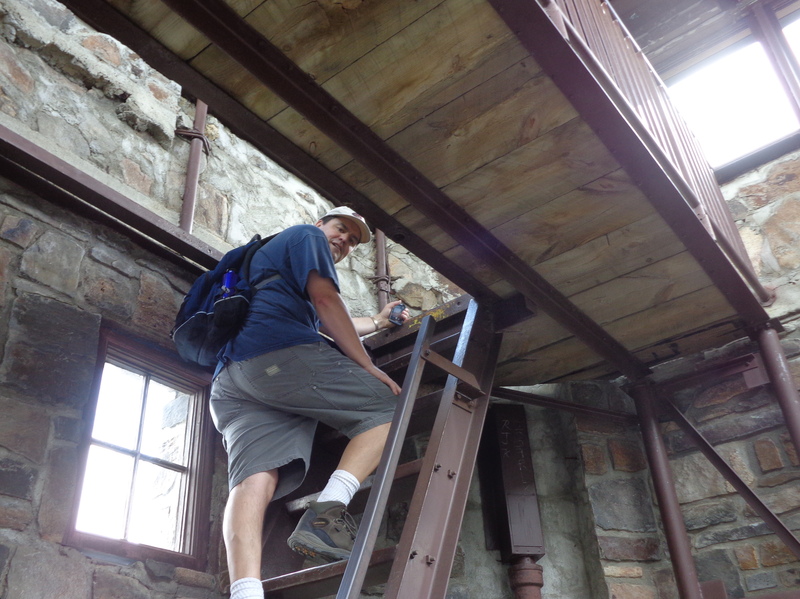 Then one final climb inside the old fire tower, to a walkway with even better views. 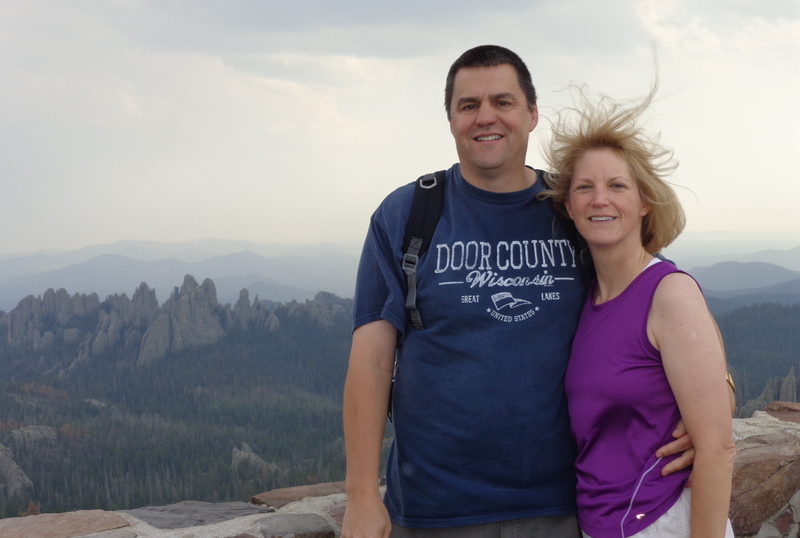 Mary & Forrest at the top! 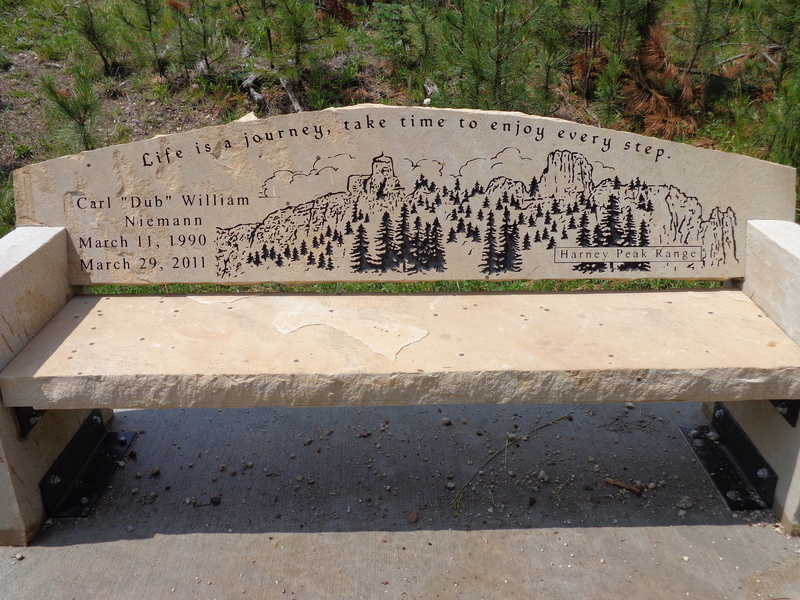 We spent awhile at the top enjoying the views, had a snack, and then began the journey back down. We promised not to tell anyone coming up how much time they had to go. On our way down, we heard a loud roar off into the distance, and realized there were two giant B52 planes flying overhead. It was fun to watch these beasts fly over the hills. Coming back down was the quickest part of the trip, of course, and we did get a bit ahead of Forrest and Mary. 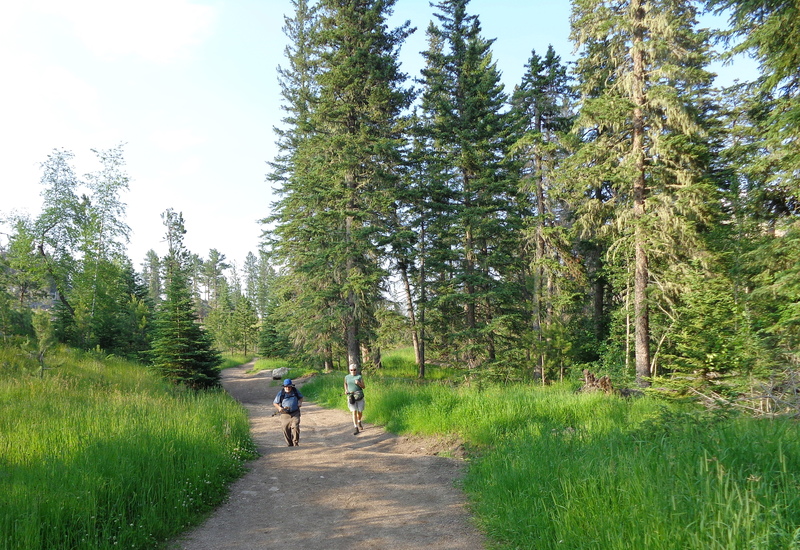 While we were waiting for them at the end of the trail, we heard some laughter, and turned around to watch them run the last hundred yards or so of the trail! Apparently they wanted us to know that even the “old folks” still had some “pep in their step” after 5 1/2 hours of hiking! 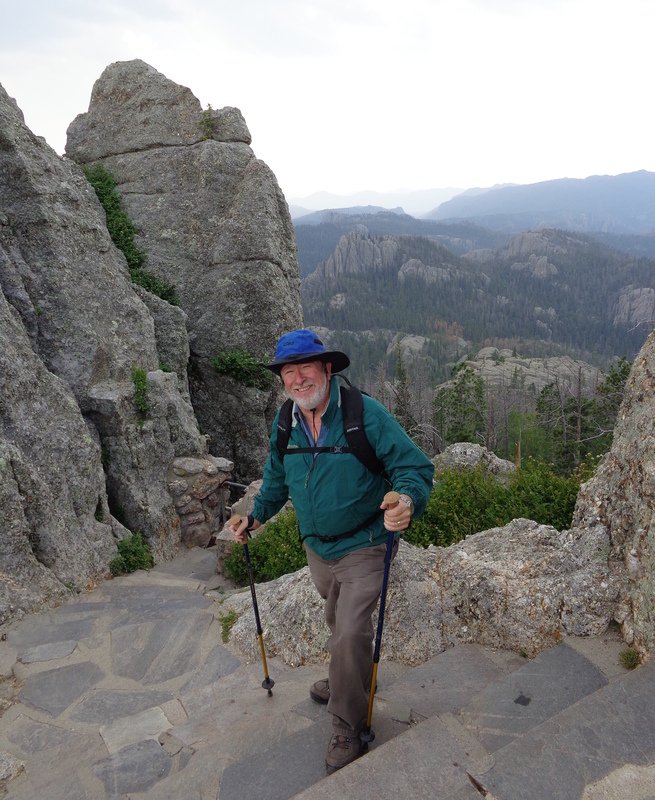 All four of us would recommend the Harney Peak hike to anyone in the area! 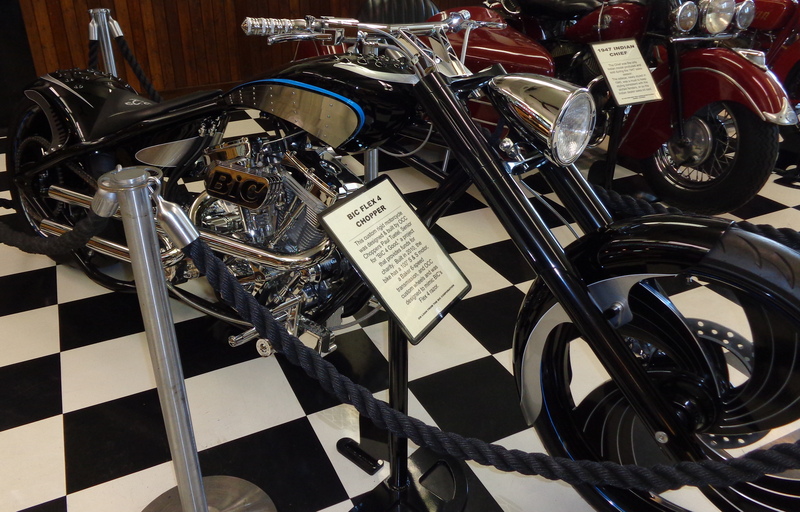 During our Sturgis visit, we spent about 45 minutes touring the Sturgis Motorcycle Museum. 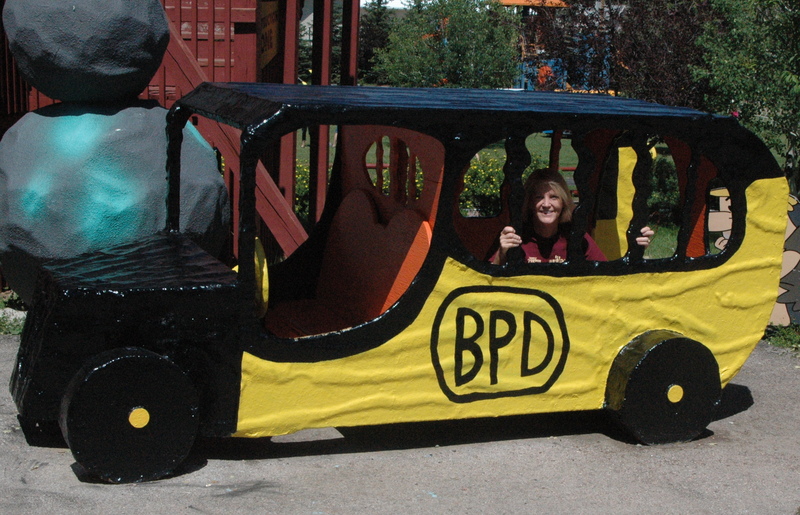 During the rally, admission to the museum is $10.00, free with our VIP pass. 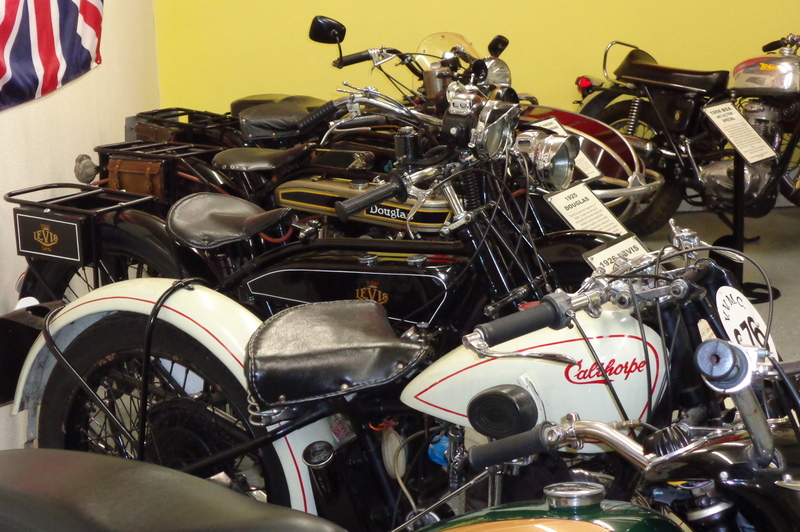 There are 2 levels of exhibits to the museum, and covers a brief history of motorcycles and the history of the Sturgis Rally. 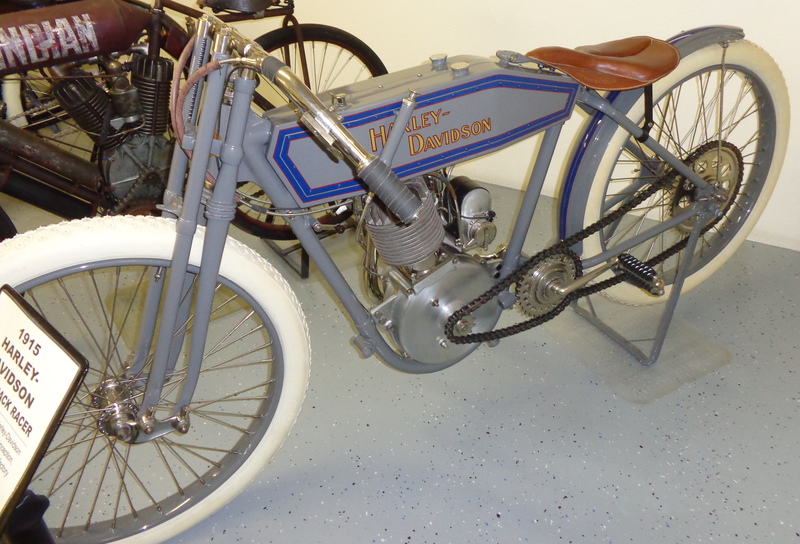 They have several dozen motorcycles on display, including many brands that we never heard of. 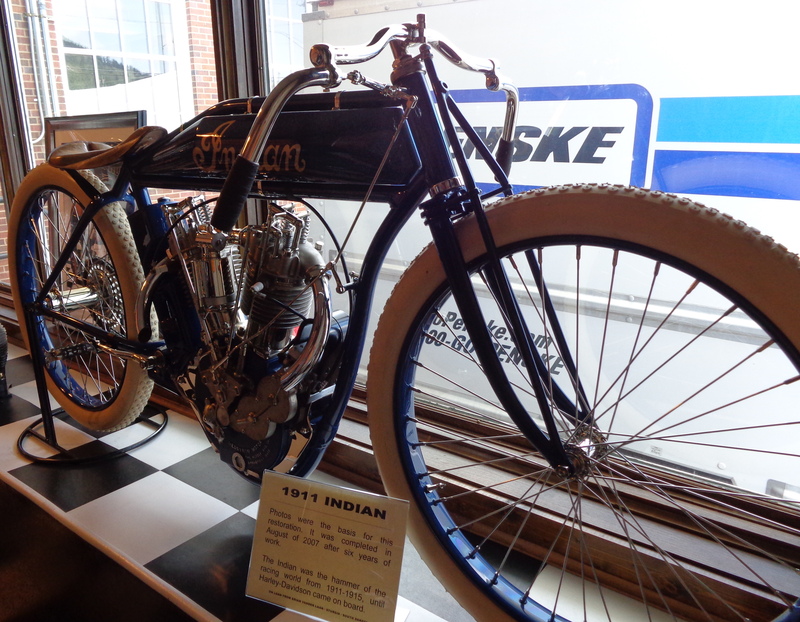 In 1938, Indian Motorcycle Dealer J.C. “Pappy” Hoel and the Jackpine Gypsies Motorcycle Club held the first races in Sturgis. 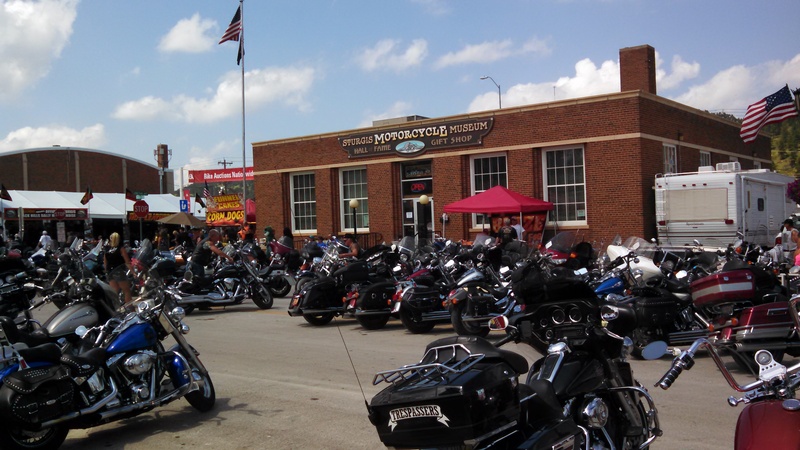 This became the basis for starting the Sturgis Rally in August. 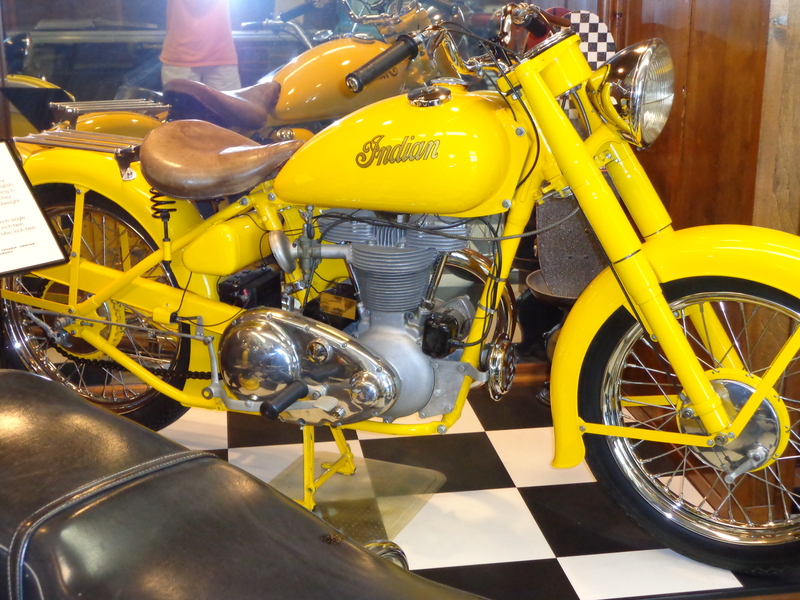 This is a 1938 Indian Chief. 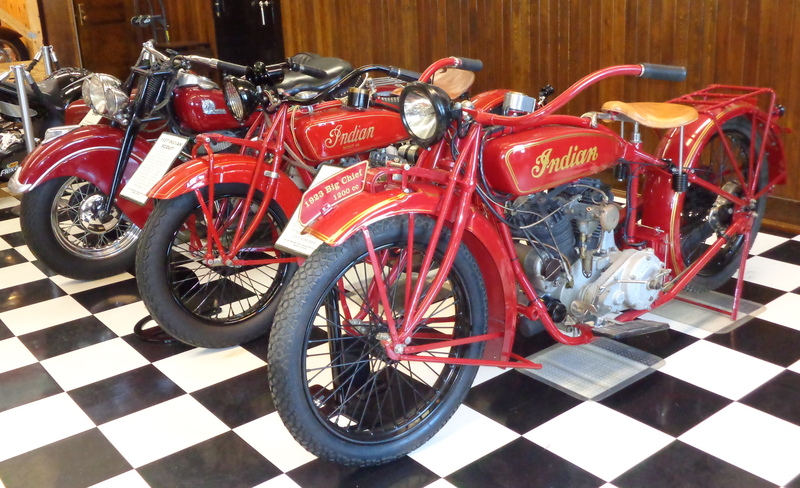 Indian motorcycles were very popular racing bikes, before Harley Davidson started producing racing models. 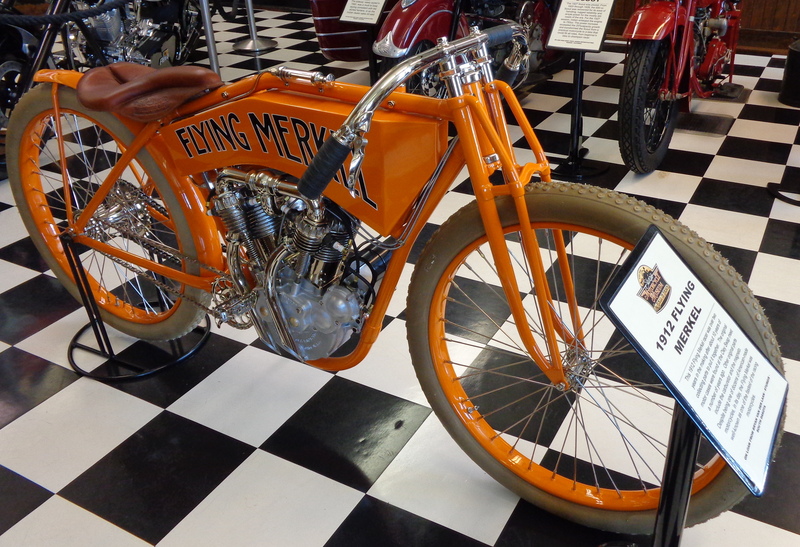 The Flying Merkel was known as one of the fastest racing bikes in its time. 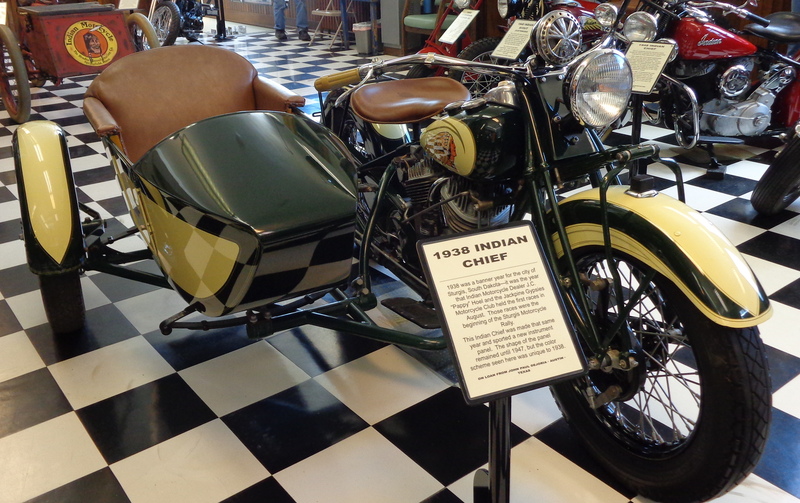 Many motorcycles from other countries are on display as well. 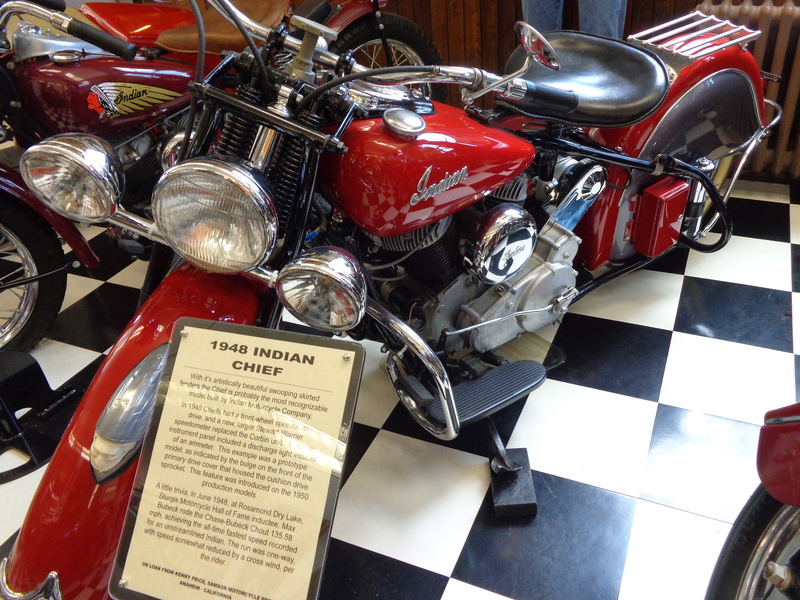 In 1949, the Indian motorcycle company tried to go with a more European style, to compete with the many imported motorcycles that were gaining popularity in the US. This motorcycle was designed specifically for London’s fog and rain. 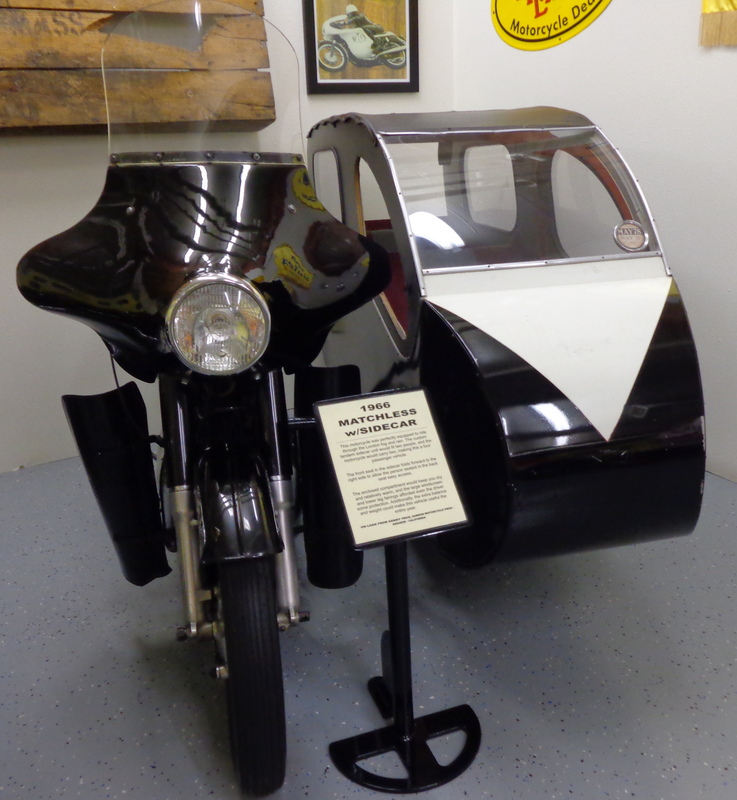 It can hold up to 4 people, and keep the riders relatively dry, due to the larger windshield and lower leg fairings. Perhaps this is why people enjoy riding motorcycles so much?